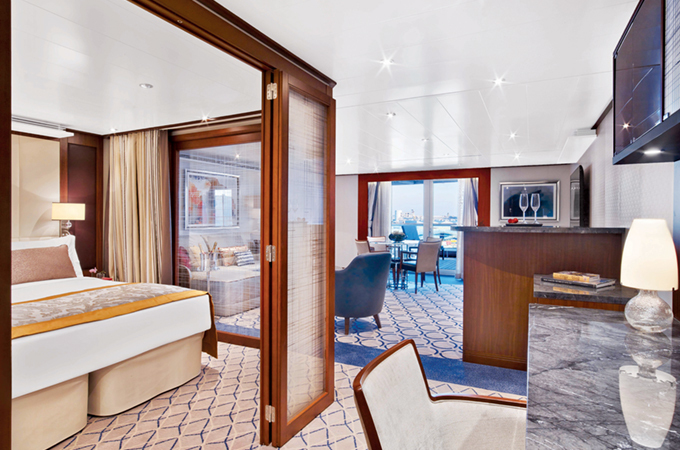 SEABOURN, the world's finest ultra-luxury travel experience, has contracted hospitality design icon Adam D. Tihany to create the indoor and outdoor guest areas of its two new ultra-luxury purpose-built expedition ships being built by T. Mariotti and due to launch in June 2021 and May 2022, respectively. "Adam's creative and artistic talents have proven to be a wonderful match for the Seabourn brand and guests have praised his work on our two newest ships," said Richard Meadows, Seabourn's president. "Expedition travel stirs a passion to venture to remote locales first encountered by explorers and the adventurous, and the guest interiors need to feel like they are connected to these destinations through its design and materials. We've spent many hours collaborating and Adam is creating an inspiring design concept that feels well-suited to the remote destinations expedition travellers want to visit while preserving the atmosphere of contemporary, relaxed luxury our guests have come to expect from Seabourn." For this latest project with Seabourn, Tihany will develop a design vision for the entire vessel including multiple expedition spaces and lounges; all categories of luxurious guest suites, multiple dining venues; Spa & Wellness with Dr Andrew Weil; outdoor deck areas; and the innovative and popular Seabourn Square multi-purpose space. Tihany's Product Design arm is designing a bespoke furniture collection for the expedition ship. "We are thrilled to join Seabourn on this exciting next chapter of expedition cruising," Tihany said. "Drawing on the call of adventure and the spirit of daring exploration from across the ages, the new ship's design will define ultra-luxury for the contemporary expedition traveller." As the newest overall ultra-luxury fleet in the industry, Seabourn's intimate ships offer key elements that set the line apart: spacious, thoughtfully appointed all-suite accommodations, many with verandas and all 100 per cent ocean front; superb dining in a choice of venues including The Grill by Thomas Keller; differentiated evening experiences in partnership with Sir Tim Rice; Spa & Wellness with Dr Andrew Weil; award-winning service, and a relaxed, sociable atmosphere that makes guests feel right at home on board.